We offer a wide variety of advanced Skin & Body Treatments at SkinBliss Medi Spa. 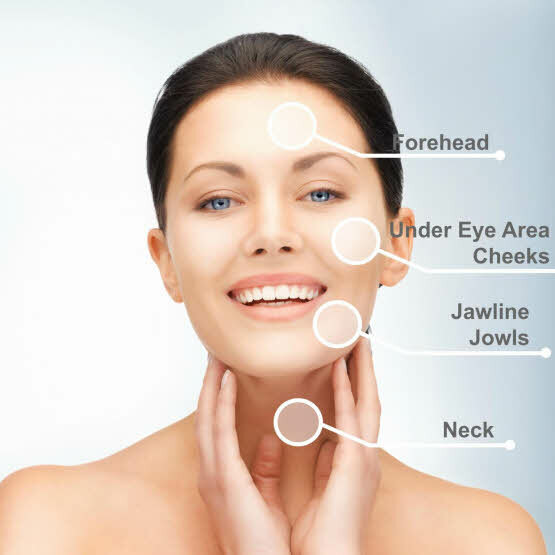 Offering a wide variety of treatments ranging from Laser Hair Removal, BBL Photorejuvenation, Skintyte Anti-Aging Treatments, Acne and Rosacea Treatments, Chemical Peels, LED Therapy, CIT (Collagen Induction Therapy)with Dermapen/Cosmetic Rolling, RF Treatments, Body Contouring Treatments, Cellulite, and Fat Reduction and more. Book a FREE consult to get a full detailed assessment and recommendations for future care and products needed. Watch for NEW Spa Treatments coming soon! This safe and painless facial helps erase fine lines and wrinkles while firming your skin and defining your features. It improves muscle tone, reduces puffiness, increases cellular activity, and tightens pores. The overall result is healthier and younger-looking skin, no matter your age. Results are cumulative, so after a series of sessions, the improvements are many and long lasting. For sustained results, the recommended course of treatment is a series of 6 to 10 treatments within the first 6 weeks, followed by a 3-month maintenance schedule. Prices Range from $40-$120+ depending on treatment. Radiofrequency waves slowly penetrate into the deep layers of skin and heat the area whilst protecting the epidermis or outer layer of skin. It can be used to treat the skin on the face, including the eye area and neck. And full body areas. Prices range from $50+ for a spot treatment up to $209 depending on the area being treated. Package deals available, please book a FREE consultation to get an exact price. Once you have taken the first step of booking a complimentary consultation, the laser Clinician will assess the area of concern, discuss all the details of the treatment including expectations and pre and post treatment protocols, while addressing any concerns and questions you may have. Prior to treatment, all the surface hair is removed by shaving or trimming to prevent any damage to the skin. The laser emits a near- infrared laser light that is absorbed by the pigment located in the hair follicle. The laser generates heat in the hair shaft, which diffuses to the stem cell and matrix targets to cause desired damage. With each laser pulse applied, you may feel a slight sting or pinch, like snapping of a small rubber band with a bit of heat. Most people tolerate the treatment well and no topical anesthesia is required. Side effects are rare. You may experience some slight redness or mild swelling to the treatment area, which goes away within hours. On rare occasions, some blistering, or small bumps may occur, which typically resolves quickly. The skin to the treatment area can also become darker or lighter following a treatment, but generally return to normal after a few weeks. Limiting sun exposure before and after each treatment will minimize the risk of complications. Following the treatment you can return to work and resume all regular activities immediately. How does Laser Hair Removal compare with other methods? Shaving, tweezing, waxing, electrolysis, depilatory creams are convenient methods to get rid of unwanted hair. They all have their limitations. Either they are very short-term solutions (Ex: shaving) or are painful, unsafe and slow (Ex: electrolysis, tweezing) Lightsheer Diode Laser is non-invasive and unlike electrolysis, no needles are used. 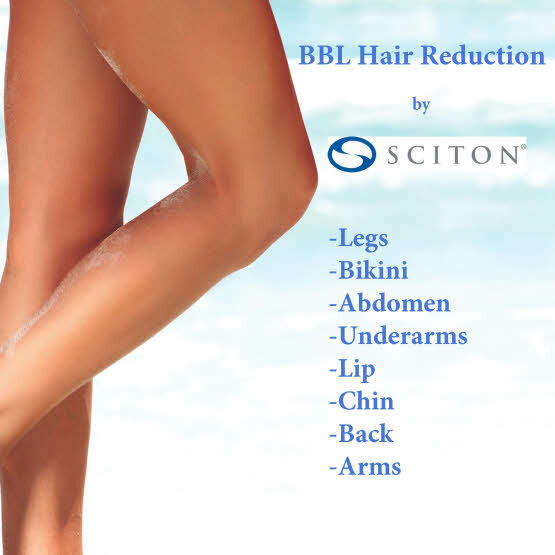 Therefore, a safe, effective and virtually painless solution to hair removal permanently. With laser hair removal it is important to know the growth cycles of hair. Hair growth has three stages Anagen (active stage), Catagen (regression) and Telogen (resting). In order to achieve permanent reduction, ideally the hair follicle should be affected by the laser during the Anagen or active stage of hair growth. Since approximately 15-25% of hairs are in the active growing stage at the same time, 4-6 treatments are generally required. Prices range from $59 -$229+ depending on the area being treated. Please book a FREE Consultation to get an exact price quote, we also offer great package deals for 4 or more treatments. SkinTyte utilizes advanced infrared light technology, and patient-tailored filters to deeply heat dermal collagen while continuously protecting the treated epidermis with sapphire contact cooling for optical clinical endpoints, safety, and comfort. With no need for a topical anesthetic, the energy is delivered in rapid, gentle pulses to promote contraction and partial coagulation of the collagen, initiating the body’s natural healing process, leading to increased tissue firming. Firmer, more youthful looking skin! Prices Range from $89-$209+ depending on the size of the area being treated. Is laser leg vein treatment better than injection treatment? Both treatment modalities are effective in treating leg veins. During our free consultation, you will be advised as to which treatment will be best for you. There is some discomfort during the treatment, which our staff will address. Our treatment sessions are limited to a maximum of 20 minutes. We will work as quickly as possible to alleviate your leg veins. Will it be necessary to wear tight stockings after treatment? No, it is not generally necessary to wear compression stockings after laser treatment. You will be restricted from exercise for the first 48 hours and prohibited from prolonged standing. Will it require more than one treatment? Yes, it often takes several treatments to eliminate the leg veins. Often a minimum of 3 treatments are required. You will initially see bruising from the leg vein vessels breaking down. This bruising usually resolves itself in 4 to 6 weeks. ND YAG: Laser used in leg vein therapy, larger vessels, facial vessels, and the non-ablative treatment of wrinkles. Vascular vein treatments 15min and up. Vein reduction with the Broadband Light (BBL) laser is a non-invasive way to treat spider veins on the Face, Body, and Legs with no downtime. Be comfortable once again wearing a bathing suit, shorts, and skirts. Your spider veins will safely disappear without needles, surgery or anesthesia. Resume your daily routine immediately following your treatment. Prices range from $50+ for a spot treatment, depending on the size of the area being treated. BBL Broadband Light treatments use energy to gradually improve the clarity of the skin, decrease redness and broken capillaries and lighten pigmented spots. See the tone and texture of your skin become smoother and evener. You’ll reverse signs of aging due to photo-aging and sun damage. Rosacea, redness, and flushing are treated successfully. You may also notice that your pores appear smaller and some fine lines appear smoother. Prices range from $50+ for a spot treatment up to $209 depending on the area being treated. Package deals available, please book a FREE consultation to get an exact price. What is BBL or Broad Band Light? Broad Band Light (BBL) is a treatment that addresses a variety of benign skin conditions such as photo damage, broken blood vessels, pigmentation and other blemishes. It is a safe, noninvasive treatment that can be tailored to meet your particular needs. How is the BBL Photorejuvenation treatment performed? The skin is first cleansed. Your eyes are covered with protective glasses or eye shields and a thin layer of cold ultrasound gel is applied to the skin. The chilled sapphire crystal tip of the hand piece is placed onto the skin and the light is pulsed. The chill tip eliminates the need for topical anesthetic. The treatment takes about 20 minutes per treatment area. The BBL treatments are recommended in a series of 4 to 6 sessions, after which you will be given a maintenance schedule to maintain your results depending on the condition of your skin and severity of your problem. You will be able to resume your normal activities immediately after the treatment. By dividing the treatments into a series, you will see gradual improvement with minimal risk. While there are many lasers, most will address either brown pigmentation or broken capillaries. IPL technology allows both vascular and benign pigmented lesions to be addressed in a single treatment without interruption in your busy lifestyle. What conditions can BBL Photorejuvenation treat? BBL technology helps to reverse the sign of aging creating smoother looking skin, it evens out the skin tone and texture. After a series of treatments, you will see a reduction of unwanted pigmentation and broken capillaries. 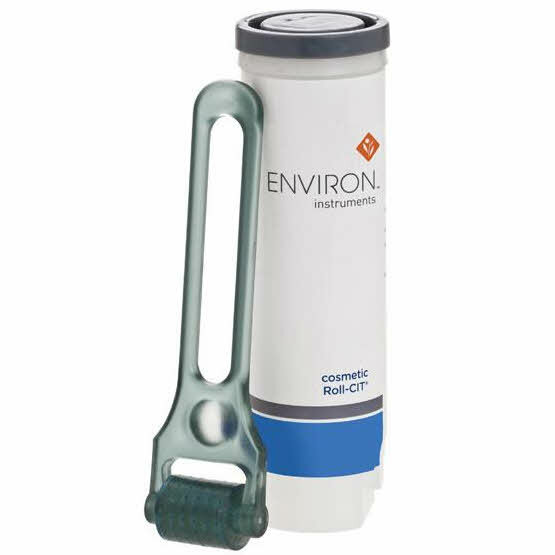 The same treatment can be used effectively to treat the face, neck, chest, arms and hands. What makes Photorejuvenation-ONE with Lumenis One™ special? Lumenis One is a true fourth generation intense pulsed light system with patented state of the art technology, which optimizes power, pulsing and light delivery to provide maximum results, comfort and safety. While lower powered technology may perform skin treatments using Photorejuvenation, there is a visible difference in results. Lumenis One treatments are fast. With the large spot size and 1Hz repetition rate, a full-face treatment can be completed in 20 minutes. 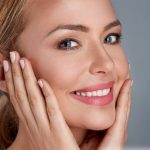 BBL Photorejuvenation is a non-invasive treatment for the complexion and skin texture improving sun damage, red blemishes, broken blood vessels, and roscea,. Using the state of the art Lumenis One Laser system OPT, unique to Lumenis IPL, delivers the right pulse and fluence for each application. 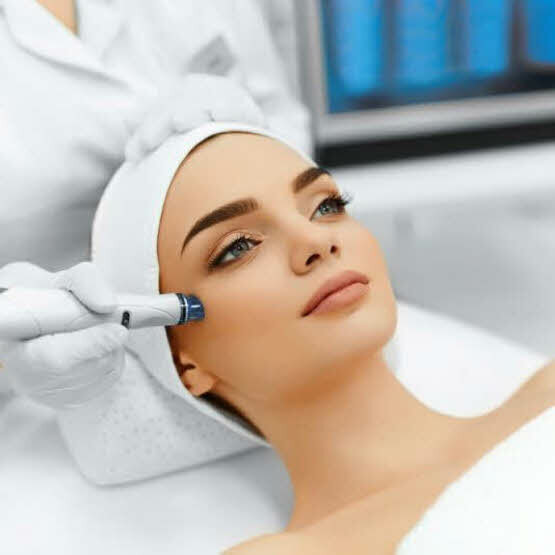 Skin needling is quickly being embraced worldwide as the beauty treatment of choice for cost-effectiveness and less invasive procedures with skin rejuvenation. Dermal Rolling offers an alternative to skin resurfacing treatments that can cause pain and a red peeling face. No need to stay at home while your skin recovers. Using Environ and our own line of Canna Bliss PURE Skincare products can be used along with Dermal Rolling to magnify treatment results with pure natural essential oils and hemp oils, made customized for your own individual needs. 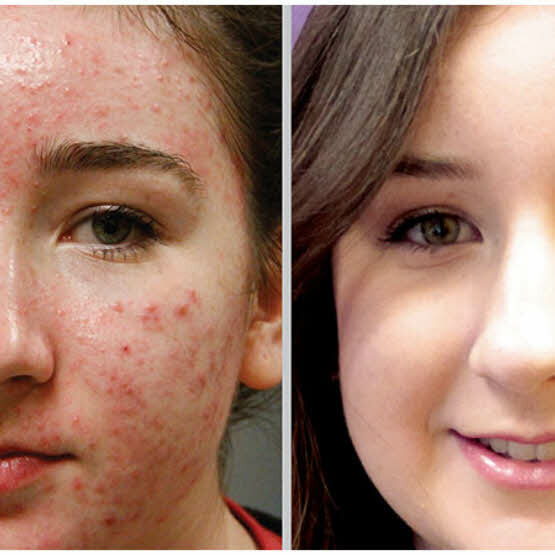 SkinBliss offers a number of acne treatments for all skin types. Including Blue Light treatments, clarifying masks and chemical peels treatment masks with natural essential oils and hemp oil. A post-treatment kit is included with every peel to help repair, heal and restore the skin in its renewal process. Prices range from $59- $159+ depending on the treatment needed, package deals available. Please book your free consult today to find out what the best treatment is for your specific concerns. SkinBliss is proud to be using Environ, PCA and Circadia peel treatments; all are customized to meet client’s individual needs. Treatments are designed to help oily/acne, pigmentation, rosacea, dry/dehydrated, tired/dull, smokers and fine lines concerns. 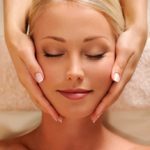 Prices range from $20+ when added onto a facial, and up to $80+ depending on the area being treated. Package deals available, book a free consult to find out more. Unlike common micro needling, we offer a medical-grade device that allows our estheticians to go deep into the dermis, the working layer for real results. Your face is fully numbed before your session. If you have experienced micro needling elsewhere, without numbing, you have not been offered a true treatment to restructure the skin. Prices range from $90-$150+ per session, package deals available. Book a FREE Consult to find out more.